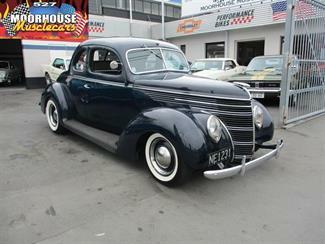 How slick is this handsome old devil! 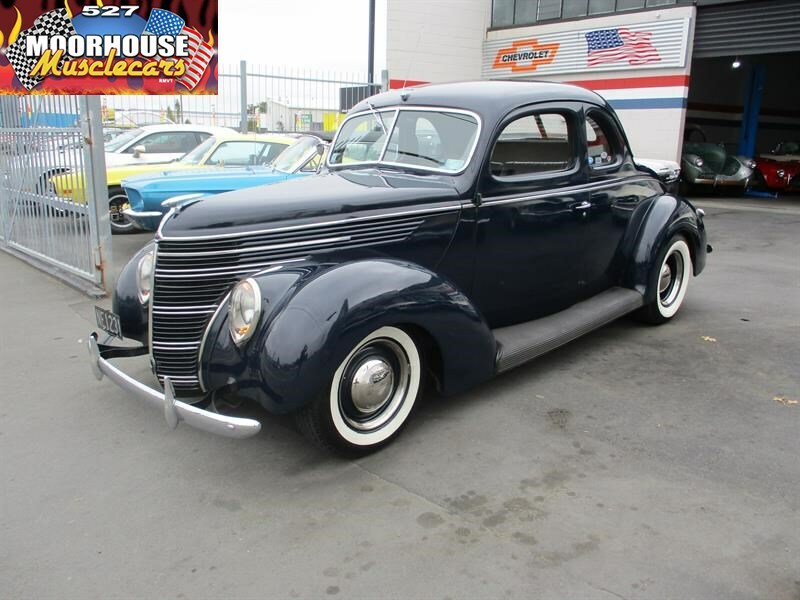 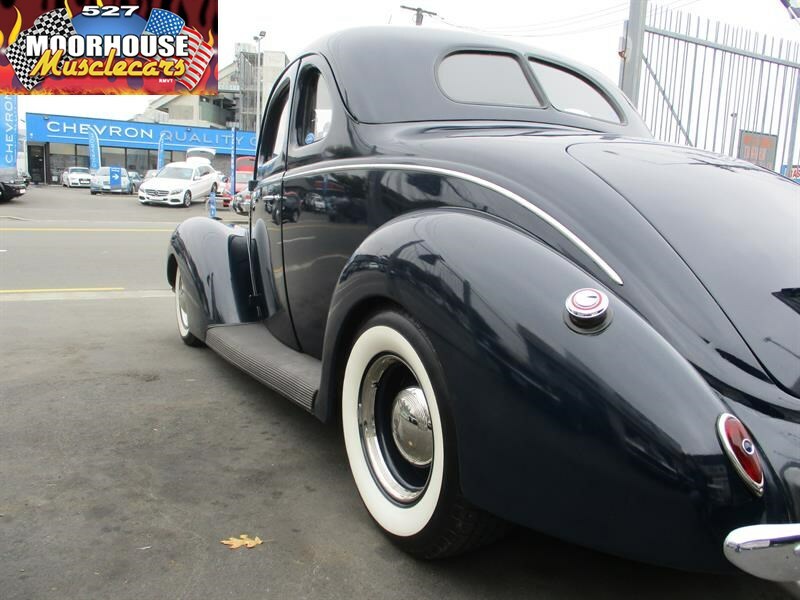 Arguably one of the best shapes for the Pre War Henry Ford Coupe, and a unique one year only style. 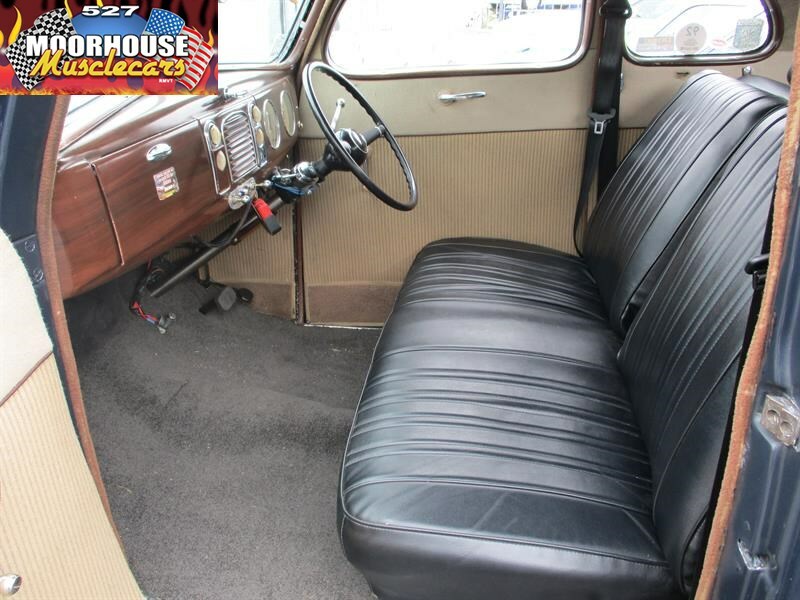 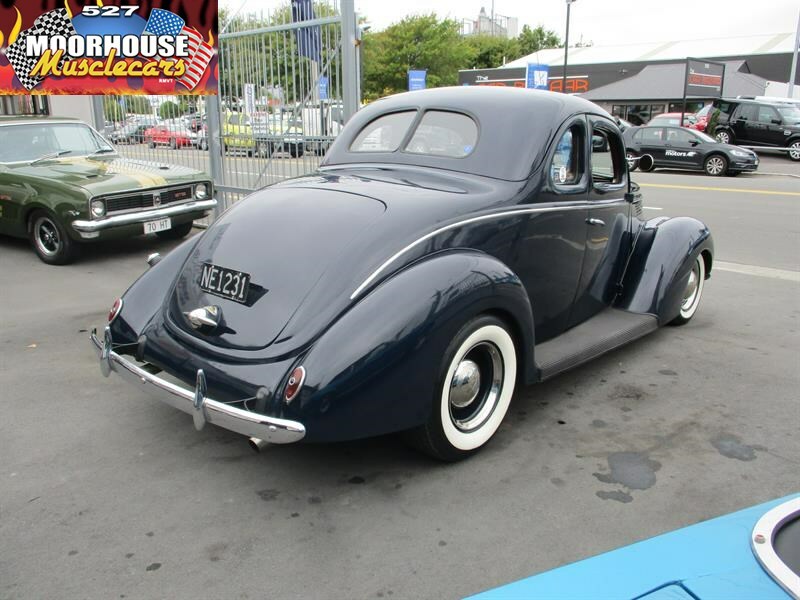 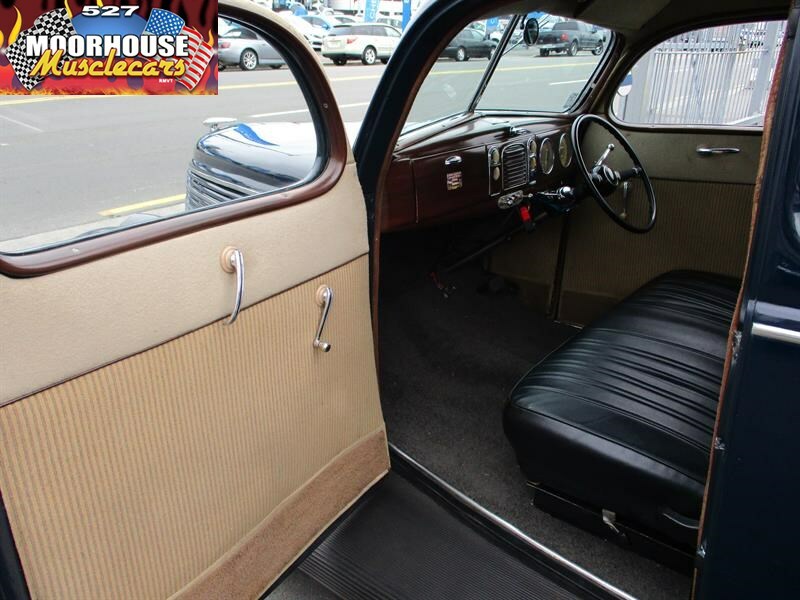 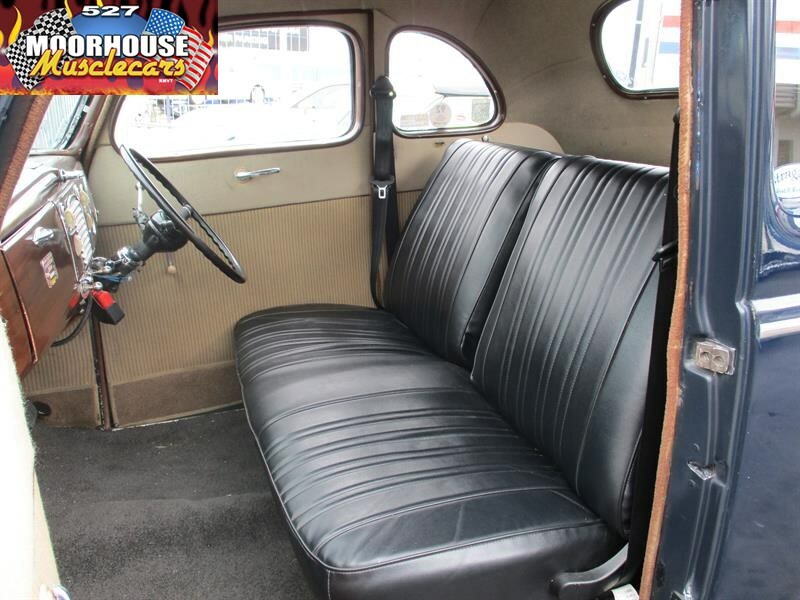 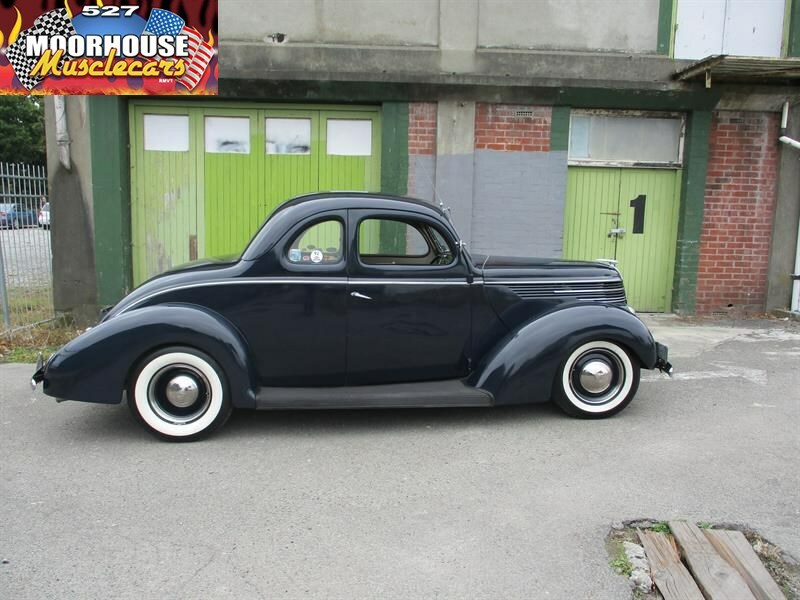 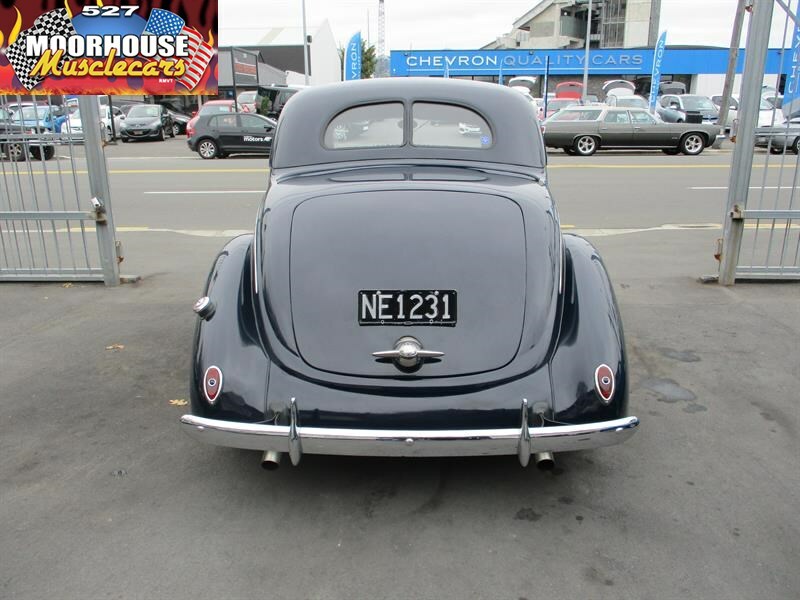 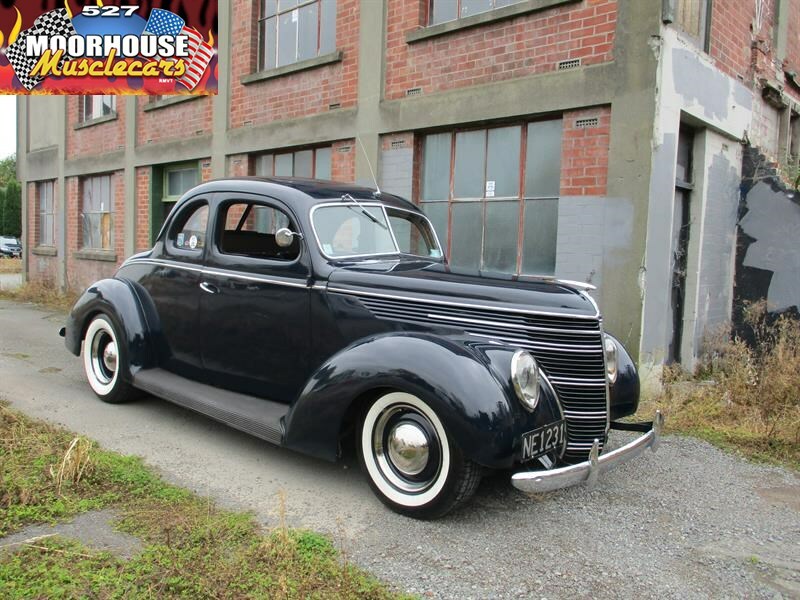 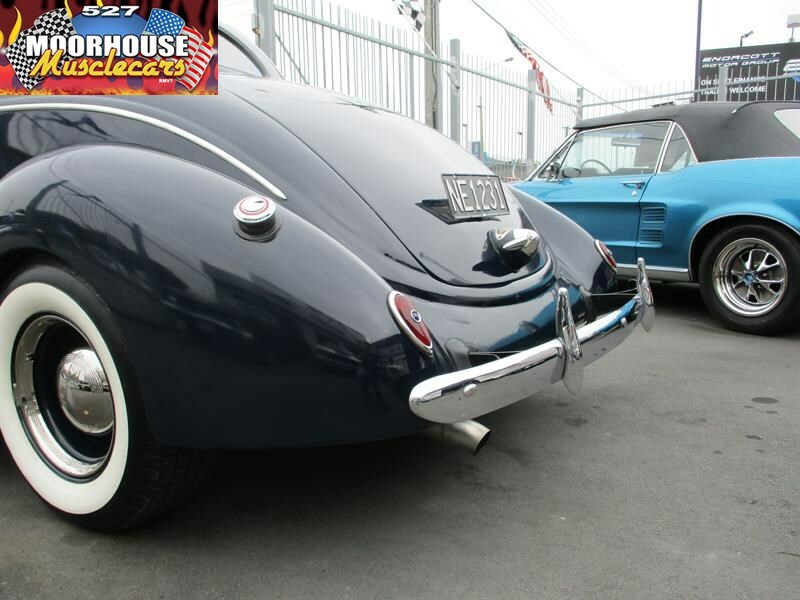 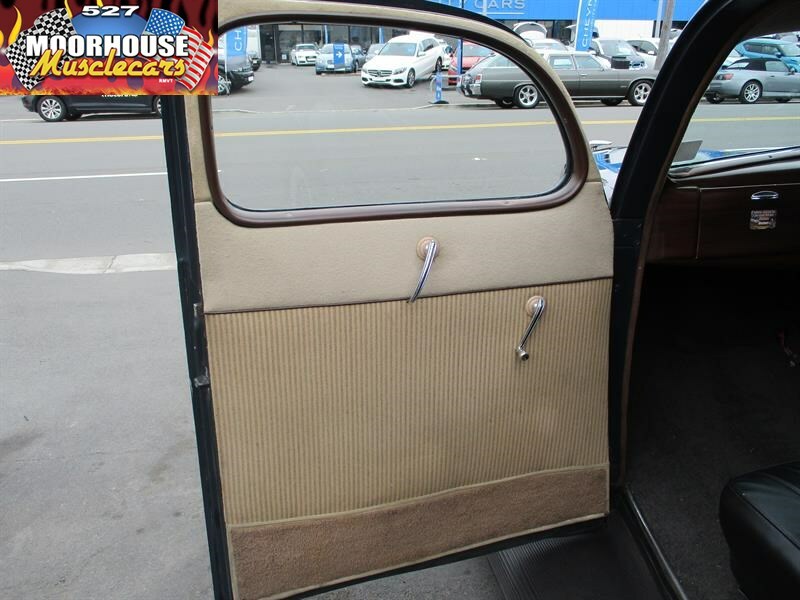 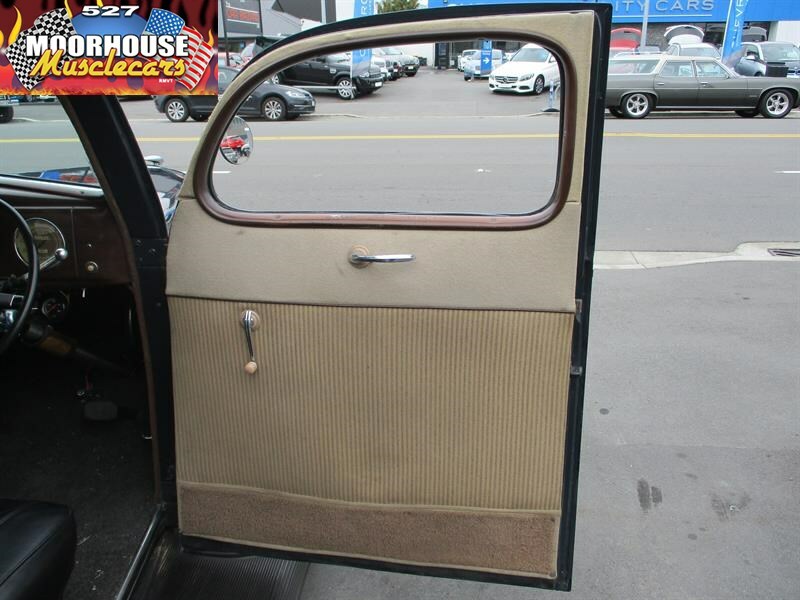 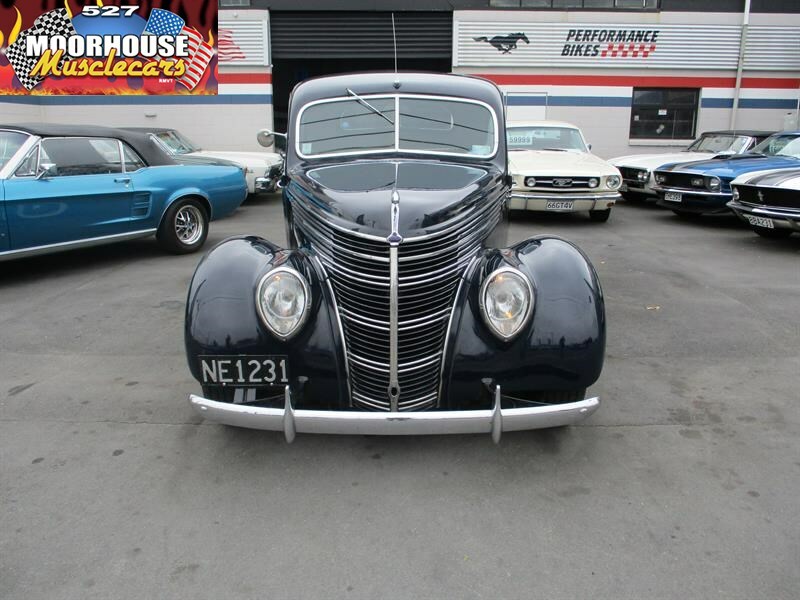 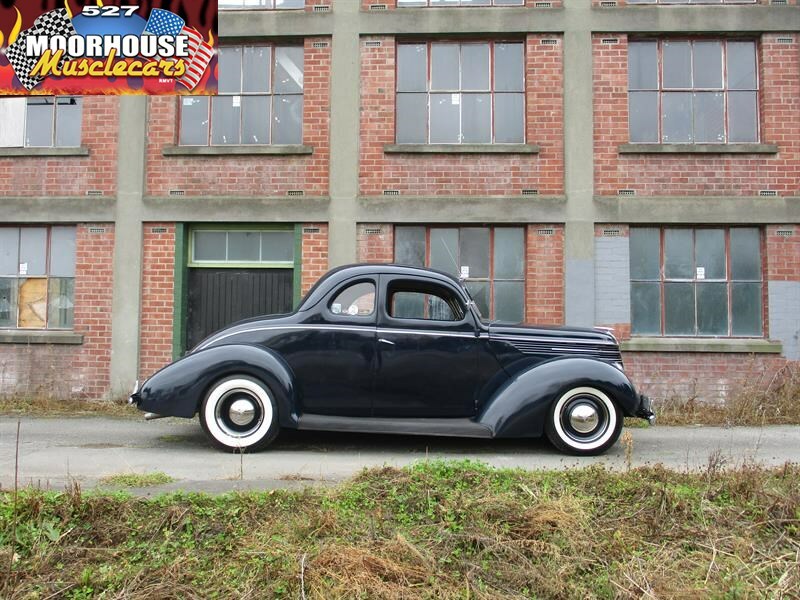 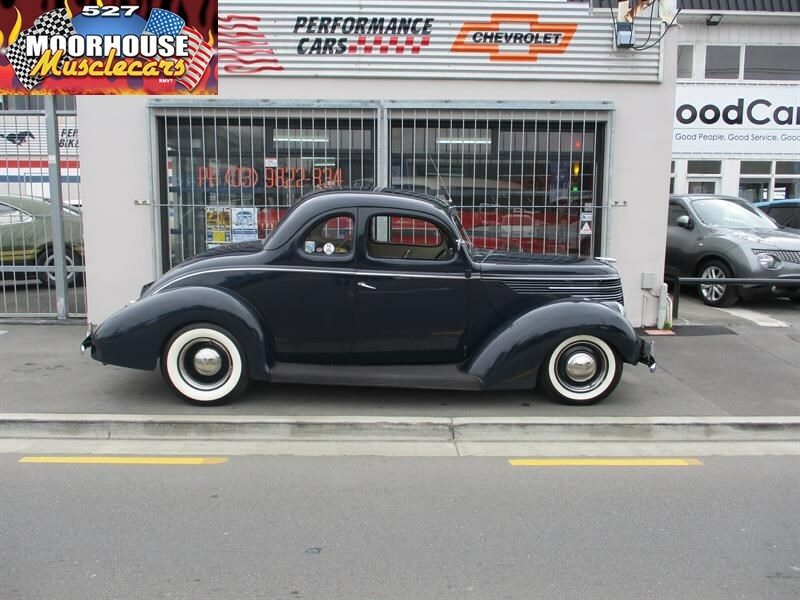 This NZ new factory RHD 38 is a very cool old car that has been built up out of what was an older restored original old Coupe, and has been sympathetically rebuilt to give you a bang on 50s period look, but with drivability and road manners far beyond what could ever be achieved out of original running gear, as good as Henrys old Flathead is, 1938 was a long long time ago and things have moved on somewhat....so if you actually want to use an old Pre War Coupe on a regular basis, you will certainly appreciate and see the value in this example. 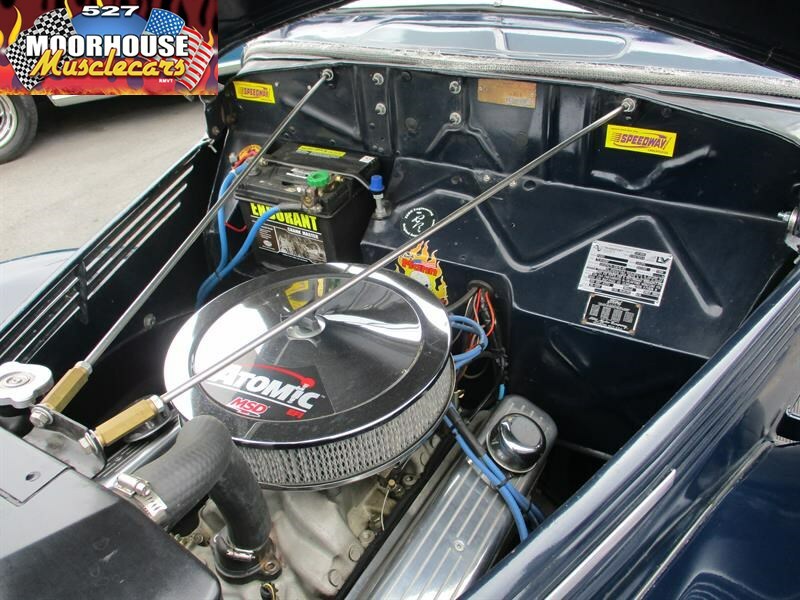 The original 38 chassis has been uprated to accommodate a bolted in narrowed XJ6 Jaguar front sub frame complete with rack and pinion steering, disc brakes and a very decent ride from uprated coils, with the theme carried on out the back with a narrowed XJ6 Jag fully independent disc brake coil over rear sub frame residing between the rails, allowing an exceptional ride from this gorgeous old Coupe, while pushing the package along is a very capable new crate 355 Chevrolet small block engine, complete with such goodies as a with a roller cam, windage tray, MSD EFI Fuel Injection, sitting on a performance alloy manifold, an HEI distributor, and custom headers and a twin stainless 2 1/2 inch system to take care of the tunes, while a new Walker high pressure radiator and oil cooler do their job to protect it all, and then on into a fully rebuilt 4L60 Chuck Mann Automatic, with Overdrive and lock up converter, the later operated electronically from the trick column shifter, mounted on a factory column with a 40 style wheel. 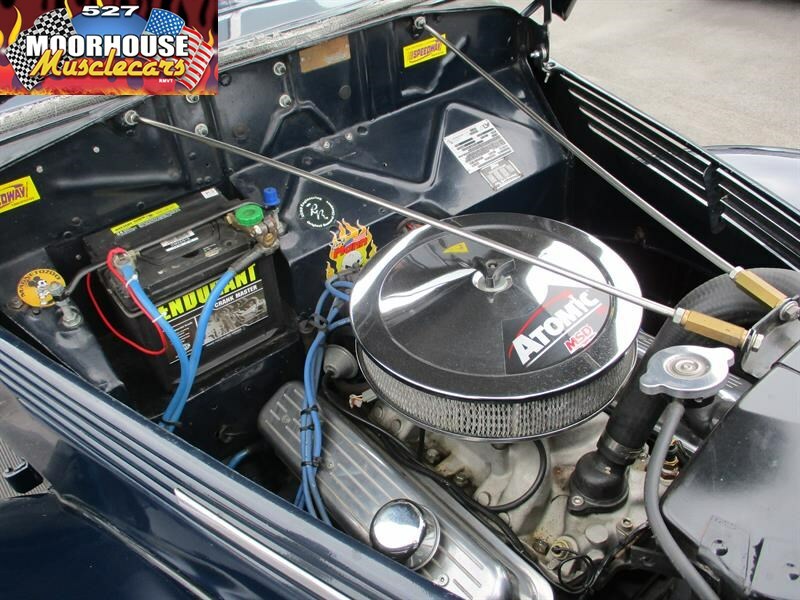 The result of all of the work involved in this impressive package makes for a pretty impressive drive, the Auto effectively gives 5 ratios, with 60 miles per hour being 1800 RPM while cruising, and the ride quality and braking is certainly far better than would be expected with the car proving itself as a more than capable and reliable cruiser on the open road, having now covered quite a lot of trouble free miles for its creator. 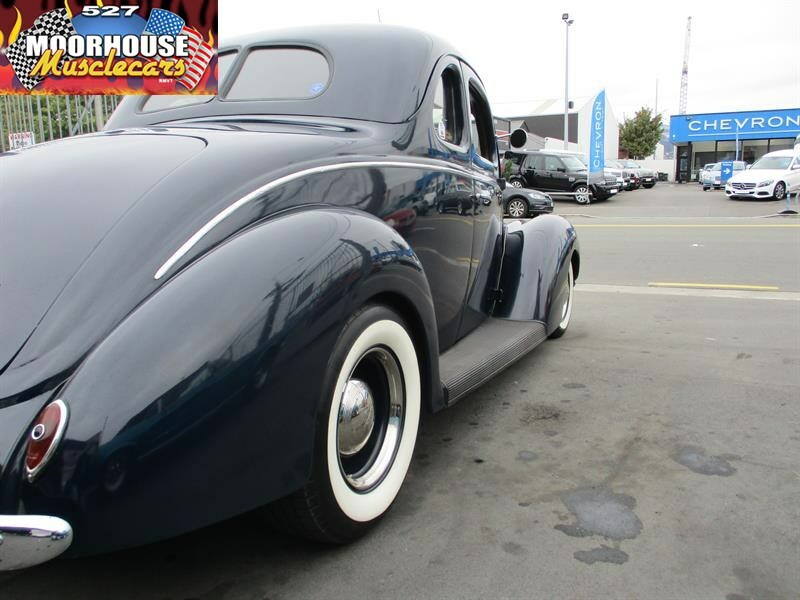 Nice chrome and bright work along with a magnificent set of wide steels with proper dress rings and V8 caps wrapped in a lovely set of wide whites with that fantastic dropped raked stance give this cool Coupe a really unmistakable appearance. 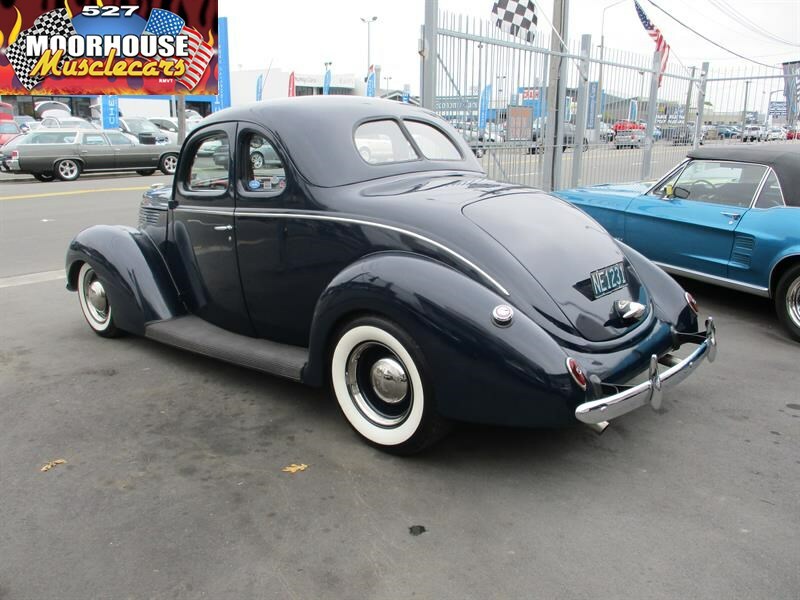 An impressive package if you have been looking for a turnkey useable driver of this style with all of the hard work done and money spent, this Hot Rod is fully LVVTA certified and ready to go.